Enjoy a classic afternoon tea at The Bermondsey Square Hotel, just 15 minutes from London Bridge Underground Station. A traditional afternoon tea is the perfect indulgence after a busy morning in London, exploring the South Bank of the Thames and Bermondsey’s hidden delights such as the Bermondsey Antique Market. 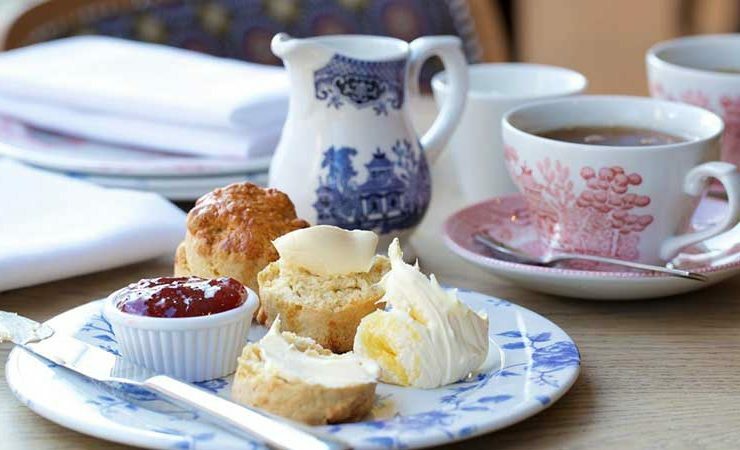 Relax at b2 at home, the in-house restaurant of the Bermondsey Square Hotel and enjoy a selection of traditional British finger sandwiches, warm plain and fruit scones served with delicious Cornish clotted cream and a selection of rich fruity jams. Completing the afternoon indulgence, your afternoon tea is served with a selection of the Chef’s daily home-made cakes. Choose from our selection of black, fruit and green teas to accompany your afternoon and enjoy unlimited refills. Afternoon Tea is served daily Monday to Sunday from 12 pm – 6 pm at £19.95 per person. To book email [email protected] or call 020 7378 2450. For hotel guests, afternoon tea can be served in your room!